Shell Lubricants is introducing Shell Rotella Gas Truck full synthetic engine oil, which the company says will provide extreme protection for towing and hauling for gasoline-powered pickup trucks and SUVs. The oil comes in three viscosity grades: 0W-20, 5W-20 and 5W-30 beginning in January in the U.S. and in May in Canada. The oil will be available in 1 quart, 5 quart and Ecobox sizes in the U.S. and 5 liter in Canada. “We’re excited to introduce an oil for pickup trucks and SUVs that meets the demands of modern and older gasoline engines,” said Megan Pino, Shell Rotella’s global brand manager. Shell Rotella Gas Truck is recommended for use in gasoline-powered pick-up trucks and SUVs, including those that experience more extreme conditions, including driving with heavy loads, stop and go driving, frequent short trips, extreme hot or cold temperatures, and extensive idling. 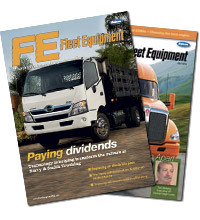 The oil is approved for use in Ford, GM, Ram and Toyota gas-powered trucks and SUVs. 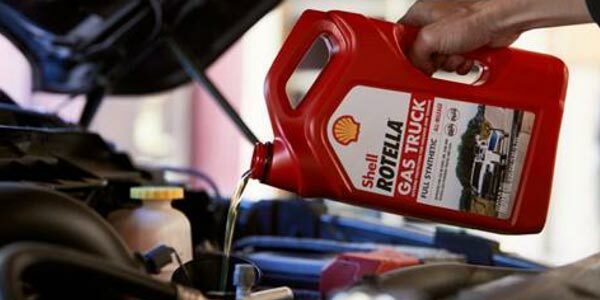 According to Shell Rotella, Shell Rotella Gas Truck 0W-20 and 5W-20 full synthetic motor oils are commonly recommended for use in many new vehicles with modern engine technology for maximum fuel economy and performance; while Shell Rotella Gas Truck 5W-30 is recommended for use in vehicles requiring the use of SAE 5W-30 viscosity grade engine oil under all driving conditions. The oil is ideal for pick-ups and SUVs that may experience more extreme conditions including driving with a heavy load, in dusty conditions, stop and go driving, frequent short trips, extreme hot or cold temperatures, and extensive idling, the company added.